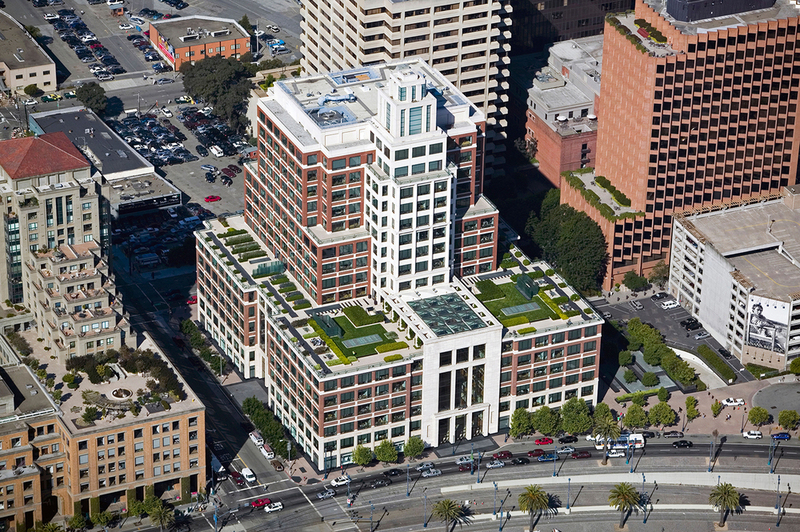 Prominently sited on San Francisco’s Embarcadero, the Gap corporate headquarters features a Rooftop Dining Terrace, a Pedestrian Plaza and an Urban Paseo and Streetscape. Taking formal cues from the twentieth century DeStijl movement in modern art, the landscape parti for the Dining Terrace is minimalist and abstract, creating a layered sequence of multi-functional spaces, and an artful composition when viewed from above. The planting scheme, which encircles the building’s central tower, reflects the microclimates of the cardinal compass directions. 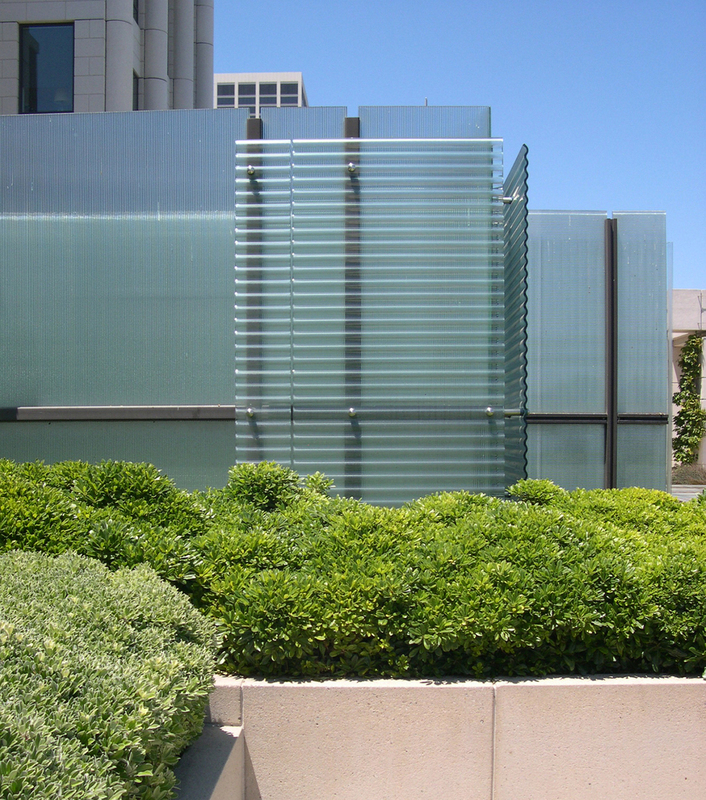 Textured glass screens deflect the wind and attenuate sound from the air exhaust vents, and bronze air intake vents are deftly woven into the pavement design of the Terrace. 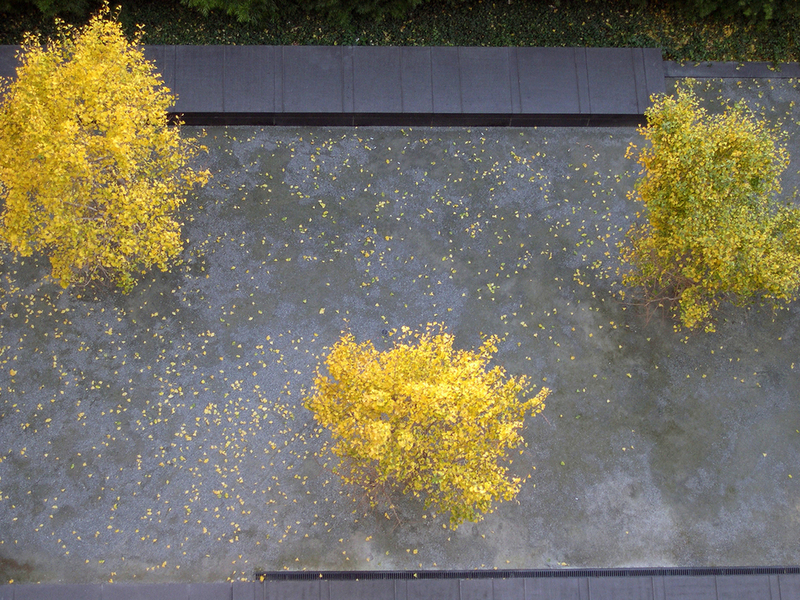 The Pedestrian Plaza, located over a parking structure, is defined by a series of terraced plinths and broad granite benches which organize the space and provide a structural soil planting zone for a grove of gingko trees.